Ceratostigma willmottianum (Ceratostigma willmottianum): growing, planting, caring. 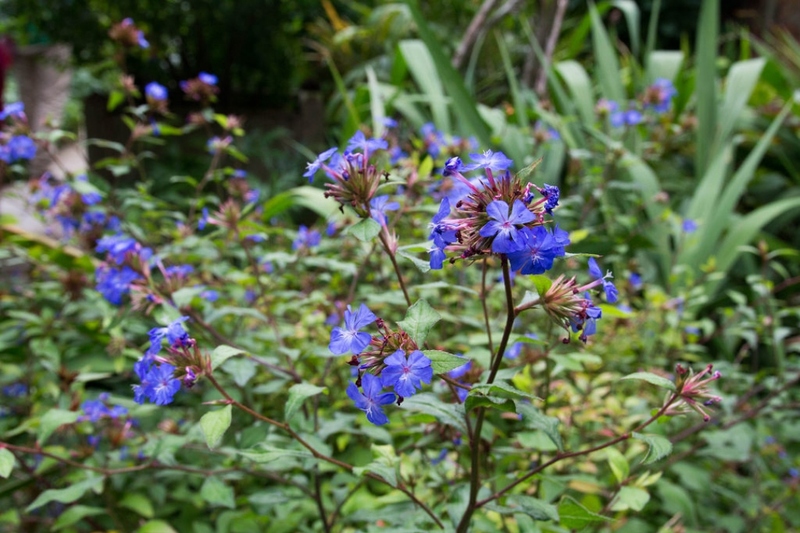 A hardy shrub with trumpet-shaped blue flowers. Full description for Ceratostigma willmottianum not yet available. 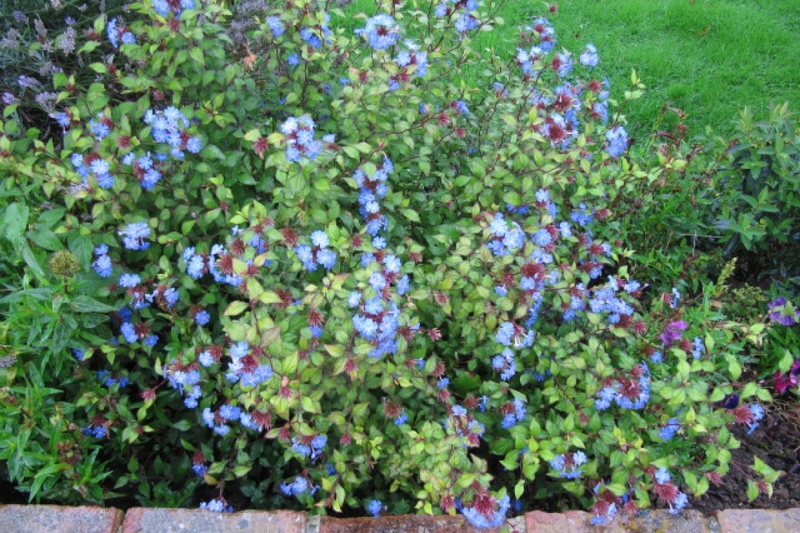 Plant your Ceratostigma in the sun or possibly in partial shade from February to April and from September to November. It prefers fresh, fertile, well-drained soil to provide abundant flowering. Remember: they are ground cover, so plan to keep some space around for their development. Tamp the soil well to avoid air around the roots, then water thoroughly. If your soil is poor and stony, a supply of organic matter or mulching on the top of the soil in November can help greatly in the first years. Ceratostigmas fear only powdery mildew, which benefits from warm and humid periods. Be careful never to wet the foliage while watering.